In the reading nook, in the home office, or in the master suite, there’s something really inspiring and welcoming about these cozy seats. And don’t think twice, they aren’t just made for outdoor use. 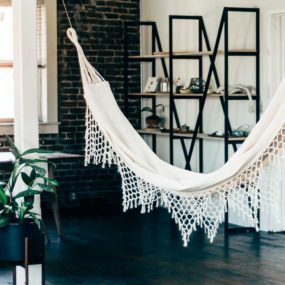 Check out these 15 indoor hammocks that will instantly ignite everyone’s relaxation while adding an extra cozy air to your home. 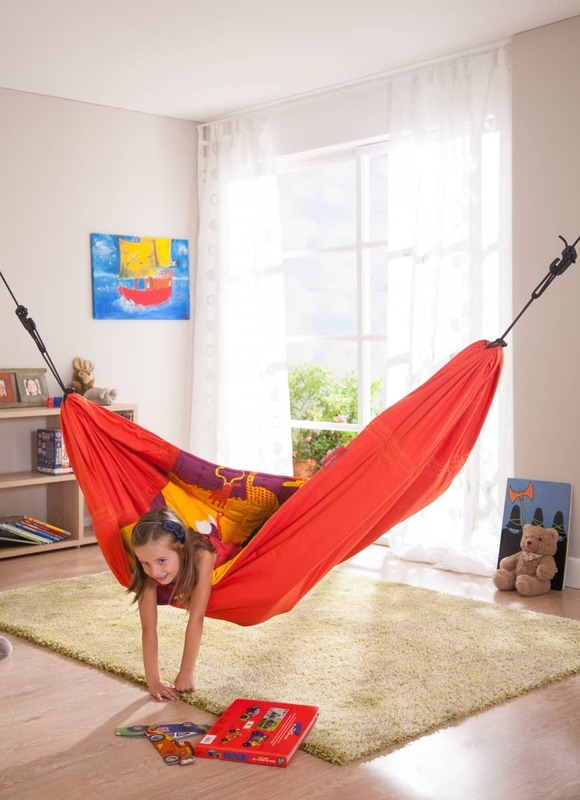 Hammock Town begins our funky journey with this tent-style design that the entire family will enjoy and come to love. 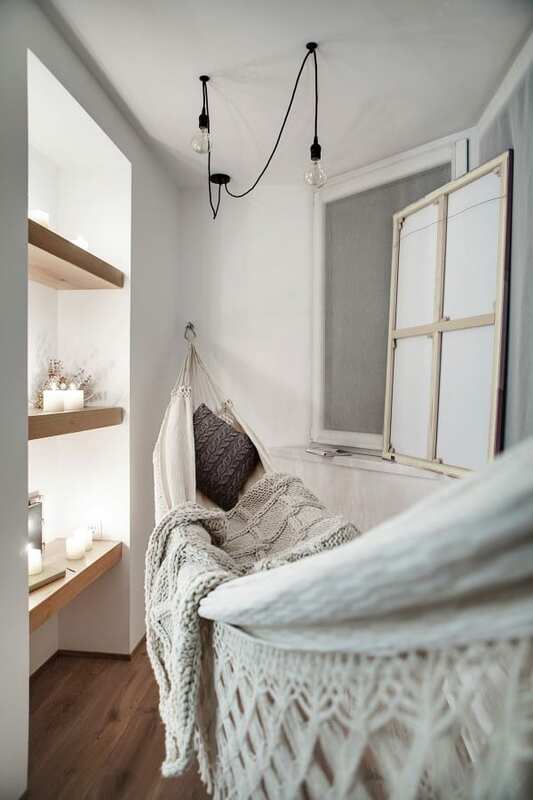 Use it as a quiet spot or a reading nook, whatever the case it’ll become the coziest spot in the house. Pack it will pillows and blankets for extra welcome feelings and warmth. Over at Decoist we found this simple corner that was full of inspiring style. 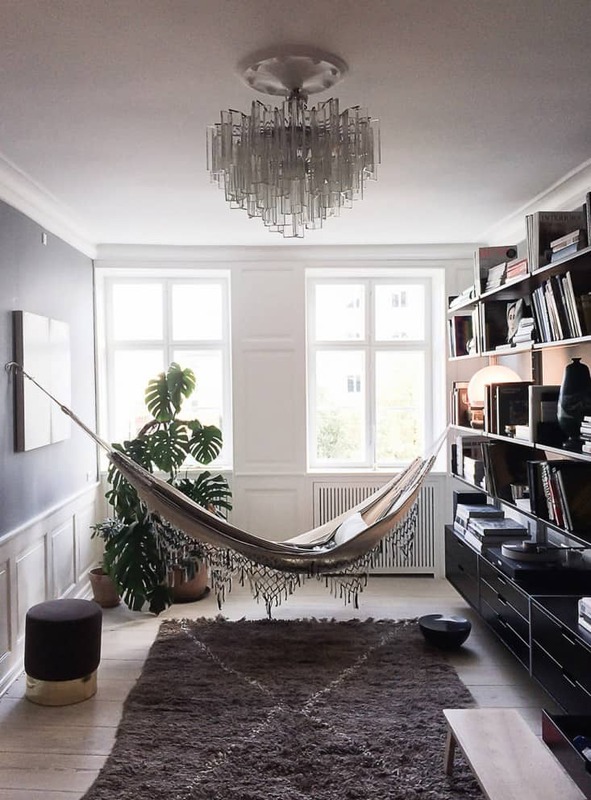 We love how this bohemian hammock gets all the natural sunlight through the windows and is set up to be a great place to catch some shut eye or grab your favorite book off the shelf. Dedicate a flex room for a sport like this! 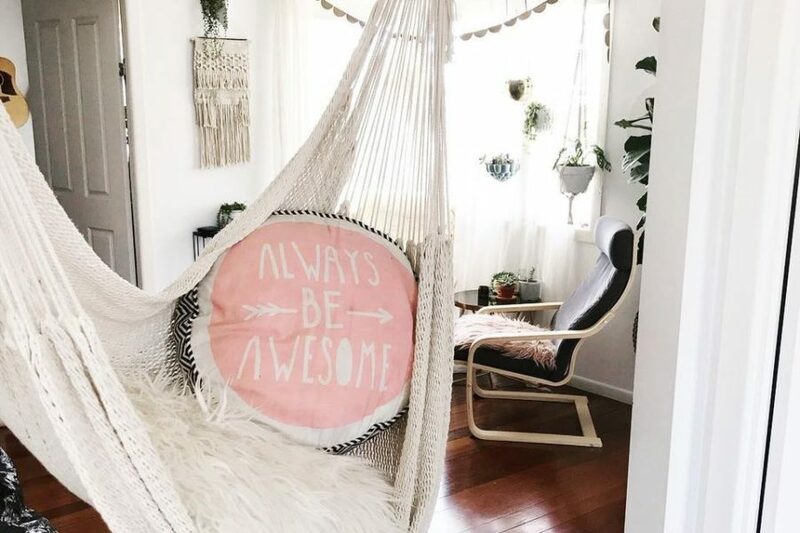 Here’s a cozy, macrame hammock featured on The Spruce that we’re swooning for too. It’s got a feminine touch and a bohemian spirit. And looks even better when personalized with some pillows and blankets. 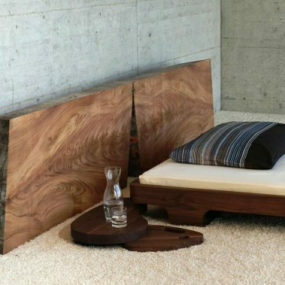 Design Rulz featured this fabulous nook and we love its simple, minimalistic vision. Again the natural lighting keeps the area fresh and bright. 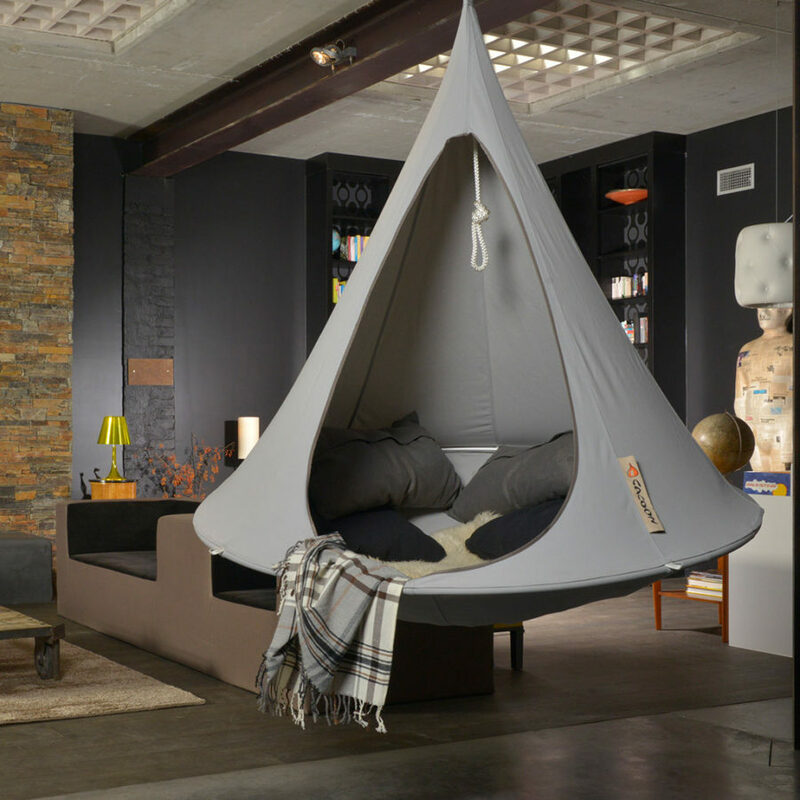 This is a more modern look for those that want a hammock inside their contemporary home. Check out this macrame piece! 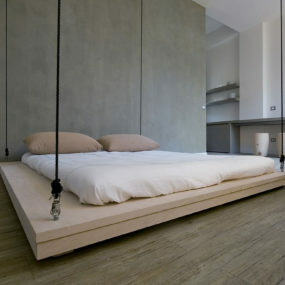 It’s more of a floating swing than a hammock but still fits inside that same genre. 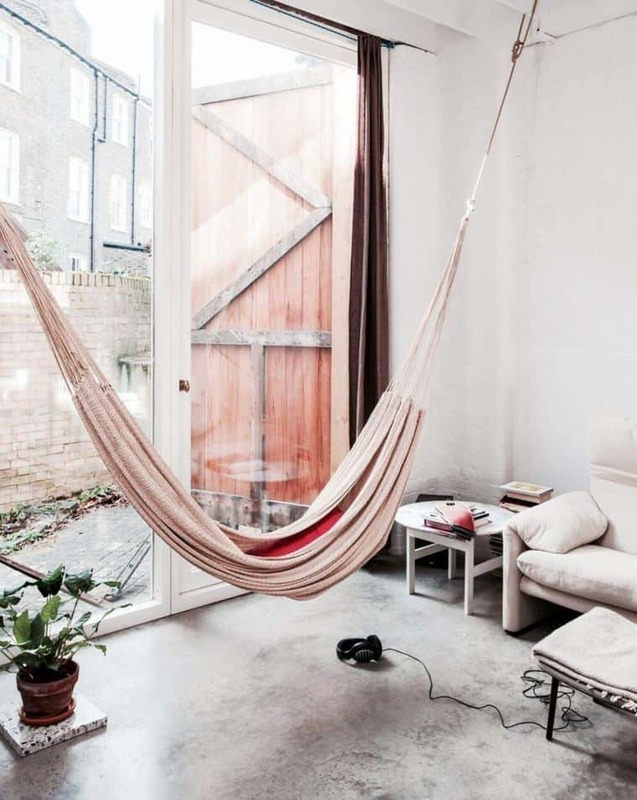 Check out more nooks like this by hopping on over to Not A Paper House. 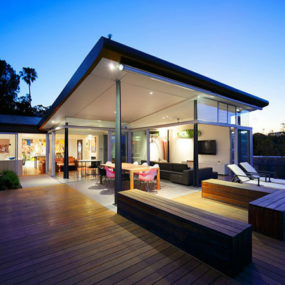 Decoist always has great inspiration as well and we’ve fallen in love with this chic, contemporary space. 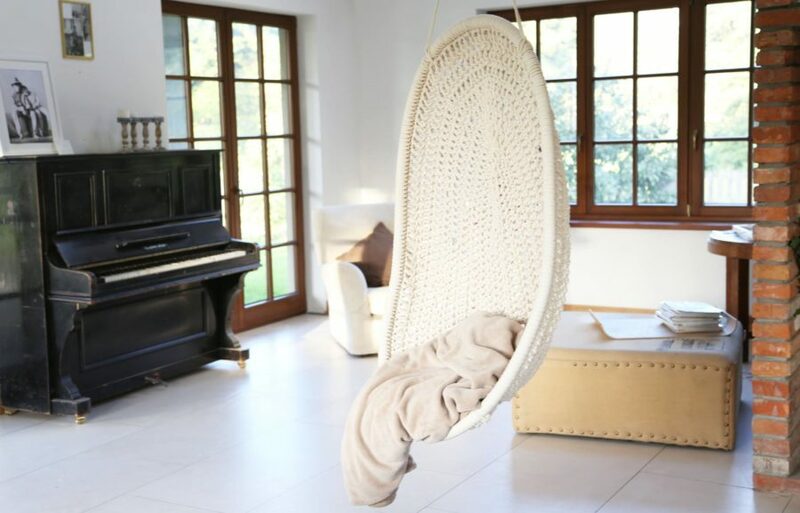 The posh, white hammock makes for a gorgeous and unique addition to the living room. 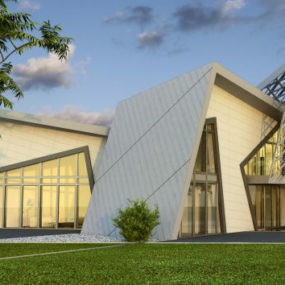 Check out this nautical-inspired design from Trendir! Perfect for screened-in porched or inside your cottage-flavored home, it’s a more unique spin on the inside hammocks we’re used to. 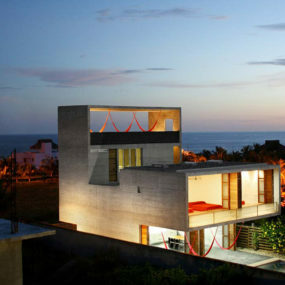 It also adds a nice and light pop of color. Very Sarie had this zen nook on display. 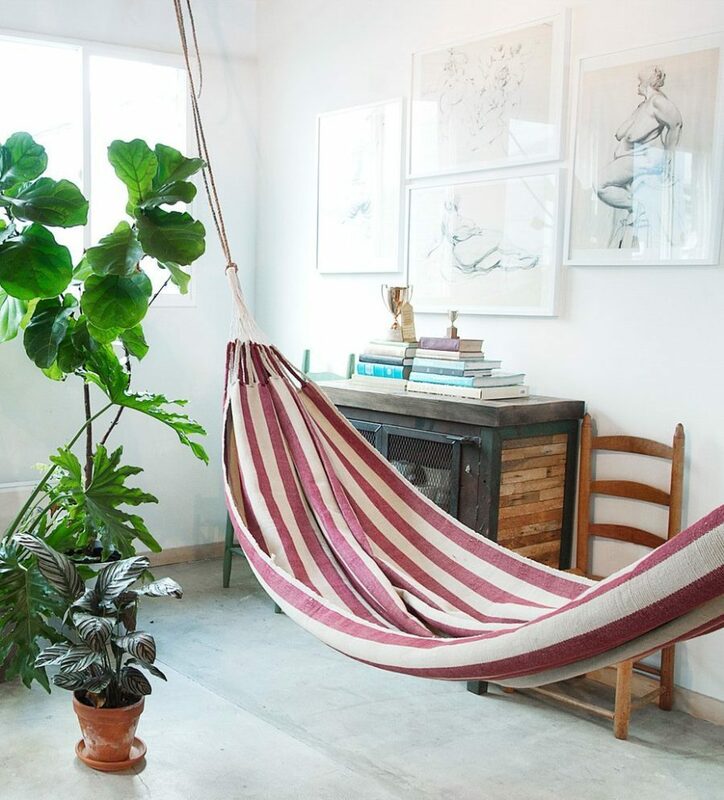 It’s another great bout of inspiration for styling and setting up our classic indoor hammocks. 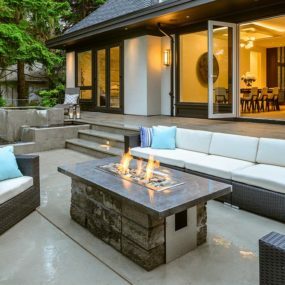 Create an escape from the hustle and bustle of your home by creating this kind of area to enjoy. 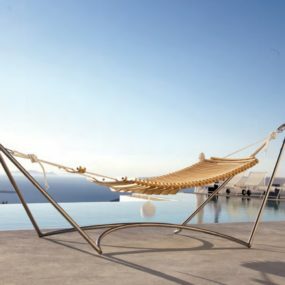 Made in the Shade Hammocks offers up a lot of great options too. We love this big plush pieces that are filled with color and kid-friendly designs. They’re a great addition to any the kiddo’s rooms or play areas. 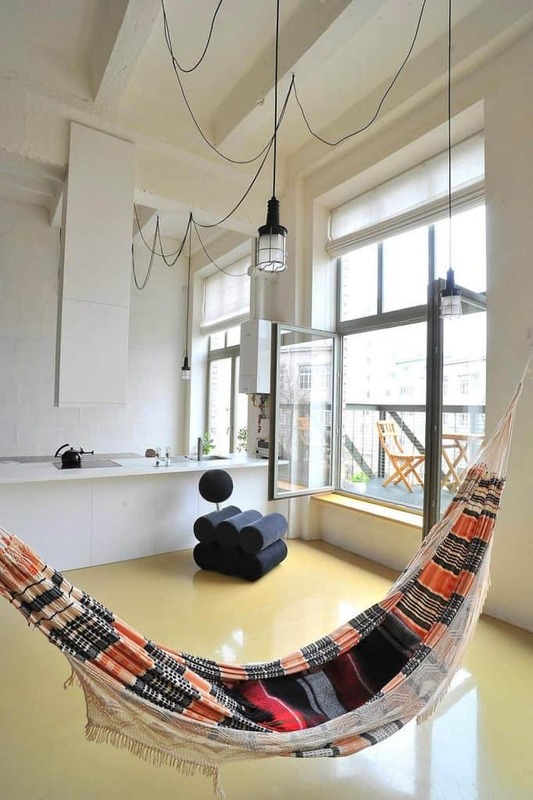 Brit + Co even had some ideas concerning our love of indoor hammocks. This blushing beauty is another great addition to any kind of home. 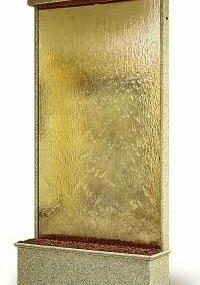 Big or small, studio apartment or dorm, you can easily find a spot for this one. Hayneedle has a lot of great options to sift through as well. And we’re loving this printed, macrame beauty. Tassels, prints, and pillows, style your covered porch or flex room with this one. We found this sock-inspired design floating on the pages of the Houston Chronicle. Filled with a fur throw and nestled in the corner of this eclectic living room, it’s a great addition to the team of fun things. 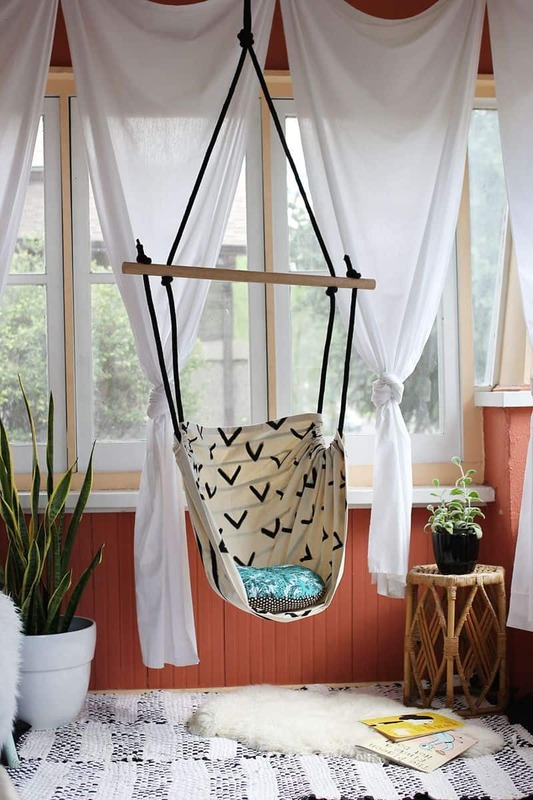 A Beautiful Mess has a hammock-swing design that we’re loving as well. It’s a perfect DIY to try your hand at. Just hop on over now and take a look at the details of your new piece! 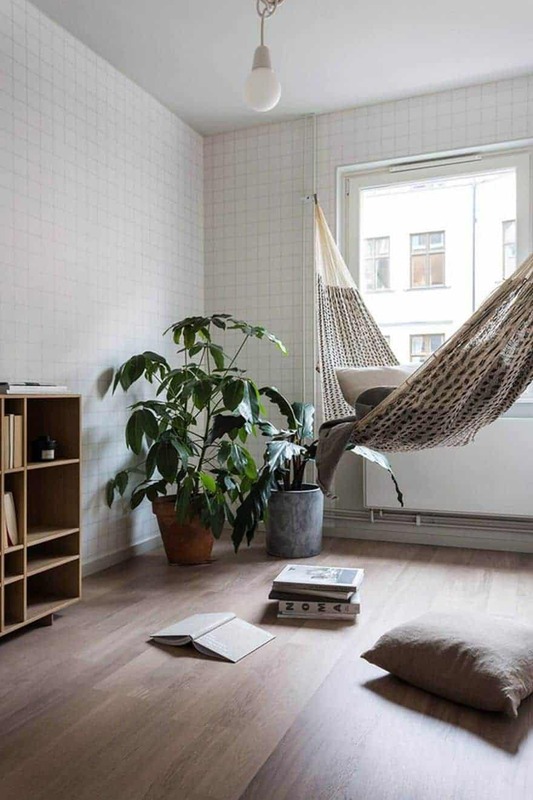 Here’s another cozy hammock to fall in love with. 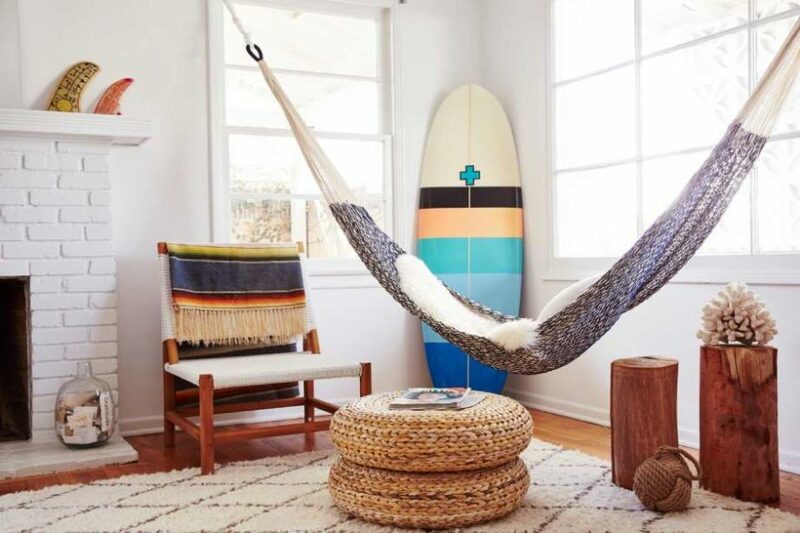 It looks like it was made out of some of our favorite blankets. Follow along with My Amazing Things to catch some more great inspo for the house. 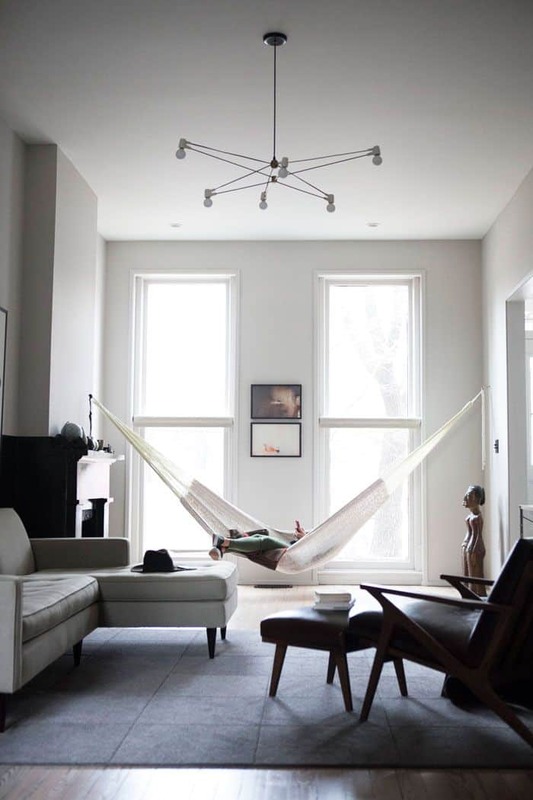 Interior for Life finishes off our list with this extra cozy hammock creation. 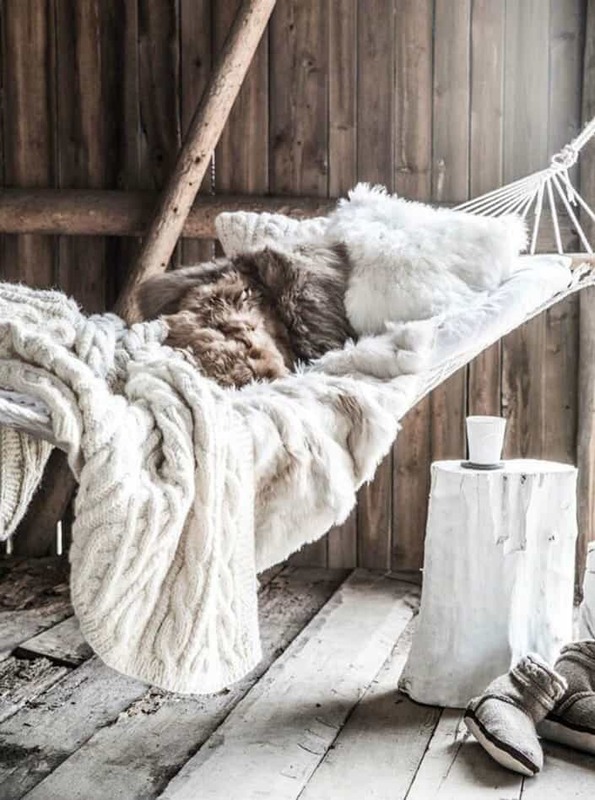 You can “winterize” your piece with lots of faux fur and blankets. 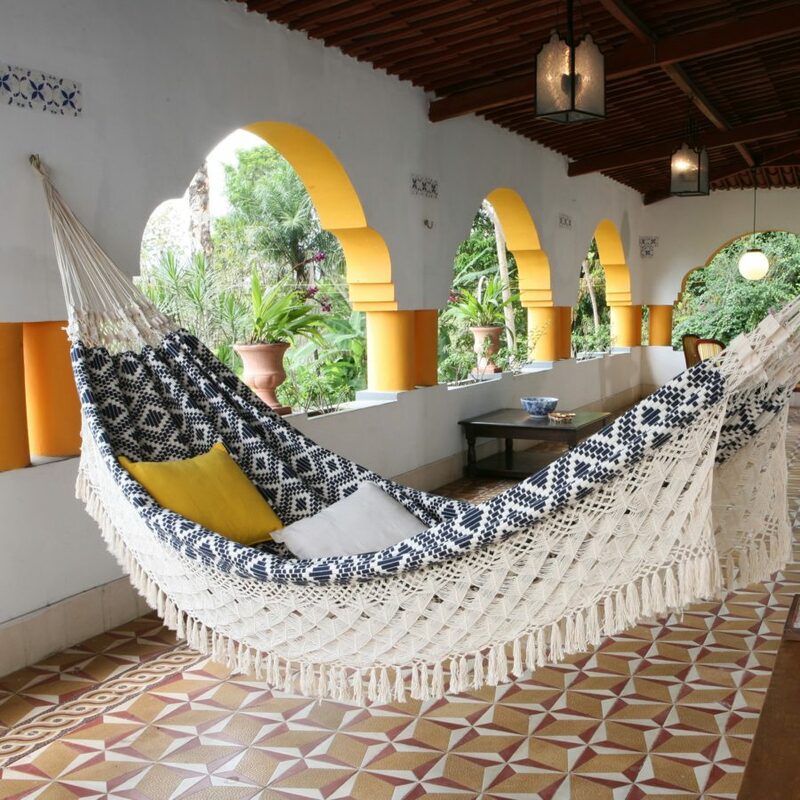 It really doesn’t get any better for a reading spot than this!